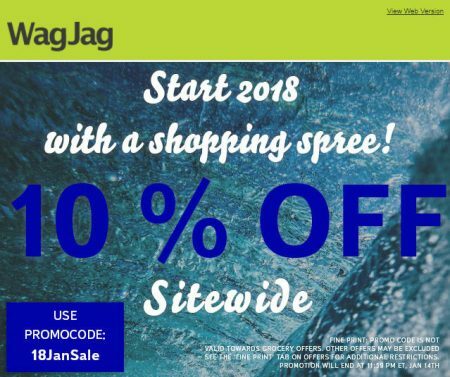 WagJag.com is offering a 10% off promo code. Save an extra 10% off sitewide when you enter the promotional code 18JanSale at checkout. The promotional code is not valid towards grocery offers, other offers may be excluded. The promo code is valid until Sunday, January 14, 2018 at 11:59pm ET.